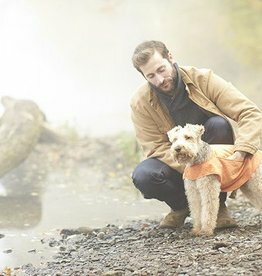 Cotton towelling coats and bags to help dry your dog, especially suited to drying your dog after a long wet walk. 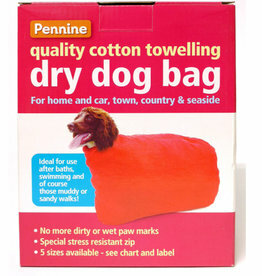 Pennine Dry Dog Bag. Ideal for home and car, town, country and seaside. Cape Towel with convenient neck fastener and hand pockets for controlled drying.